The Royal Aircraft Factory F.E.2 was a British fighter and bomber that was used as one of the last propeller aircraft in 1915 against the German Fokker monoplane on the Western Front. In 1911, Royal Aircraft Factory began developing the first Royal Aircraft Factory F.E.2 under the direction of Chief Designer Geoffrey de Havilland. It was in the basic form to a F.E.1, the cockpit was enlarged to accommodate two crew members. This was made of wood and was covered with a canvas. As the first engine, the 50 hp Gnome rotary engine was initially used and installed as a pressure motor. The first flight of the prototype took place on 18 August 1911 by Geoffrey de Havilland himself. In April 1912, swimmers were attached to the prototype to make the aircraft usable for the Royal Naval Air Service. On the first test flight on April 12, 1912, however, it turned out that the engine provided too little power, he was exchanged for a 70 hp engine after the flight. During the remainder of the year, the chassis was readjusted and a Maxim machine gun attached to the observer. In 1913 work began on a newer version of the F.E.2, with the new prototype becoming larger and heavier than its predecessor. The shape of the upper wing was adopted by the aircraft B.E.2a and instead of ailerons for the lateral control now used wing distortions. The aerodynamics of the nacelle were also adjusted, which meant that both the observer and the pilot received a better field of view. For the drive, a 70 hp Renault engine was used, which was slightly superior to the 70 hp Gnome engine in performance. After a few flights with the prototype, however, there was an accident on February 23, 1914, when the plane crashed. The pilot R. Kemp survived, but his observer died in the crash. In the middle of 1914 began the development of another version which was classified as F.E.2a version. This model was intended to compete with the Vickers FB.5 as an armed reconnaissance aircraft and fighter aircraft. 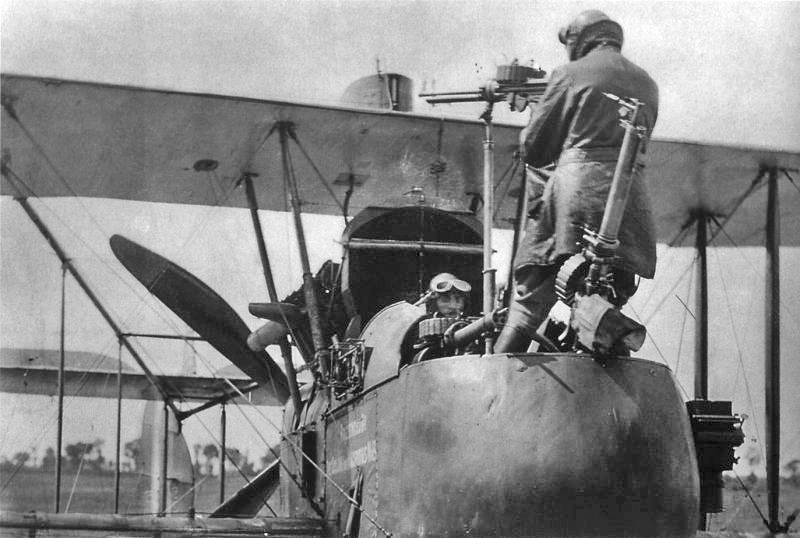 The wings of the B.E.2c were used for this purpose. Also, the cockpit was revised again, so that the observer was slightly shifted down. The armament was now a Lewis machine gun mounted which was used by the observer. For the aircraft, a Green E.6 engine was initially planned. After the first test flight on January 26, 1915, however, showed that this engine was not sufficient. In series production, therefore, the liquid-cooled Beardmore engine with 120 hp was used. 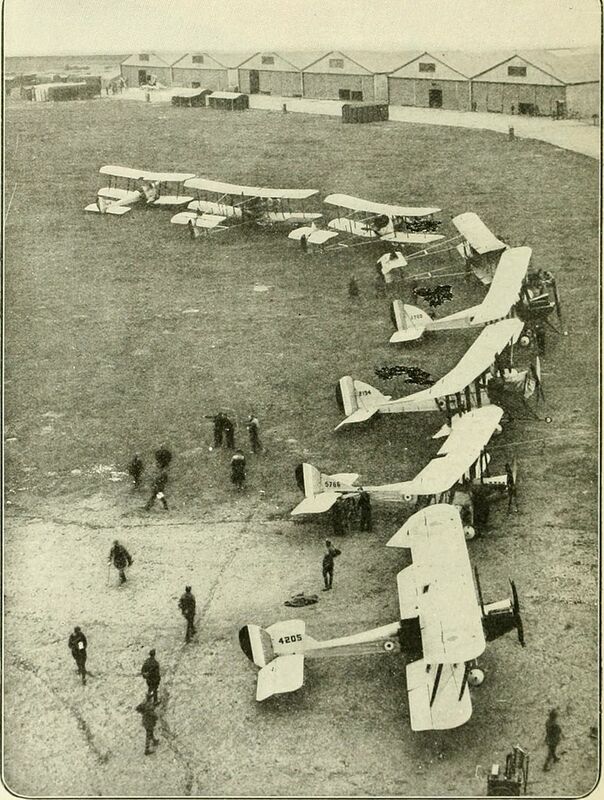 The order of 12 aircraft for the Royal Flying Corps was issued shortly after the beginning of the war and thus before the actual completion of the prototype. Shortly after the introduction of the F.E.2a, further development began. The version classified as F.E.2b initially had the same engine as the F.E.2a, but this was replaced shortly after the start of production against the more powerful Beardmore engine with 160 hp. In order to speed up and simplify production, the compressed air brake was not adopted in the b version as in the a version, especially since it reduced the landing only to a limited extent. In addition to the device for carrying bombs, a second machine gun was mounted later in the production. This was on a telescopic pole and should actually be operated by the pilot. However, it showed in the fighting that the machine gun was used mainly by the observer. He stood up for this and was thus able to operate the machine gun and shoot backwards over the pilot's head. A total of 1,939 aircraft were built by the Royal Aircraft Factory F.E.2b. From the Royal Aircraft Factory F.E.2c version, which was intended as a night bomber, a total of two pieces were built. The biggest difference was that the seats were changed by the pilot and the observer, so the pilot had a better view. The last mass-produced version was the F.E.2d of which a total of 386 pieces were still built. These were powered by a 250 hp Rolls-Royce Eagle engine, which resulted in a higher climb and faster top speed. 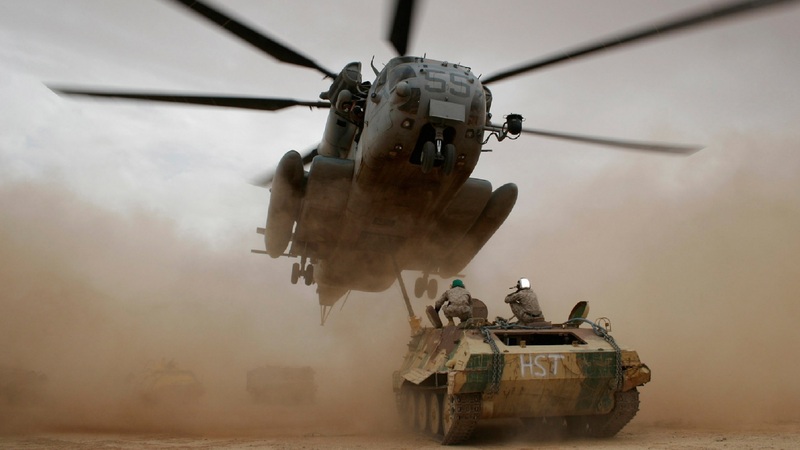 Due to the additional power, the aircraft could sometimes carry up to three or four machine guns. 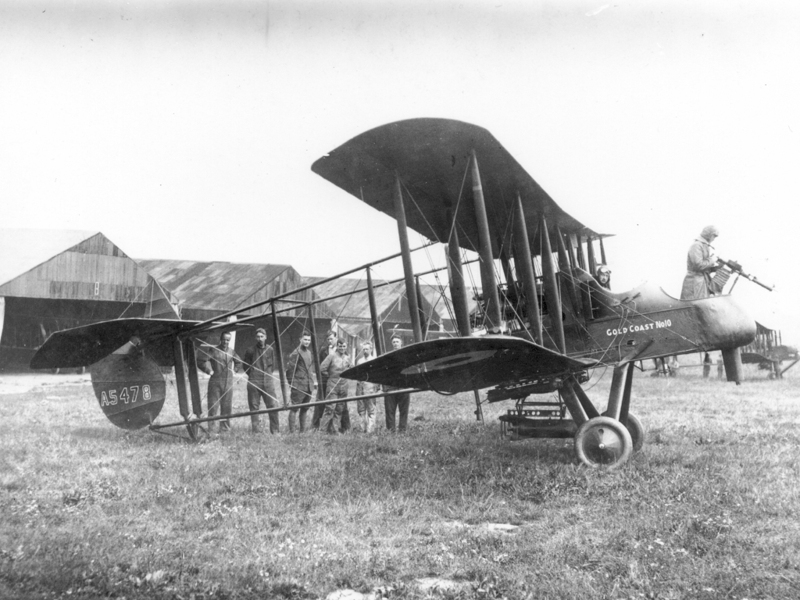 In May 1915, the 6th Squadron received the first Royal Aircraft Factory F.E.2a aircraft, which were deployed along with the B.E.2s and Bristol Scout aircraft. The 20th Squadron was later fully equipped with the aircraft, on January 23, 1916. 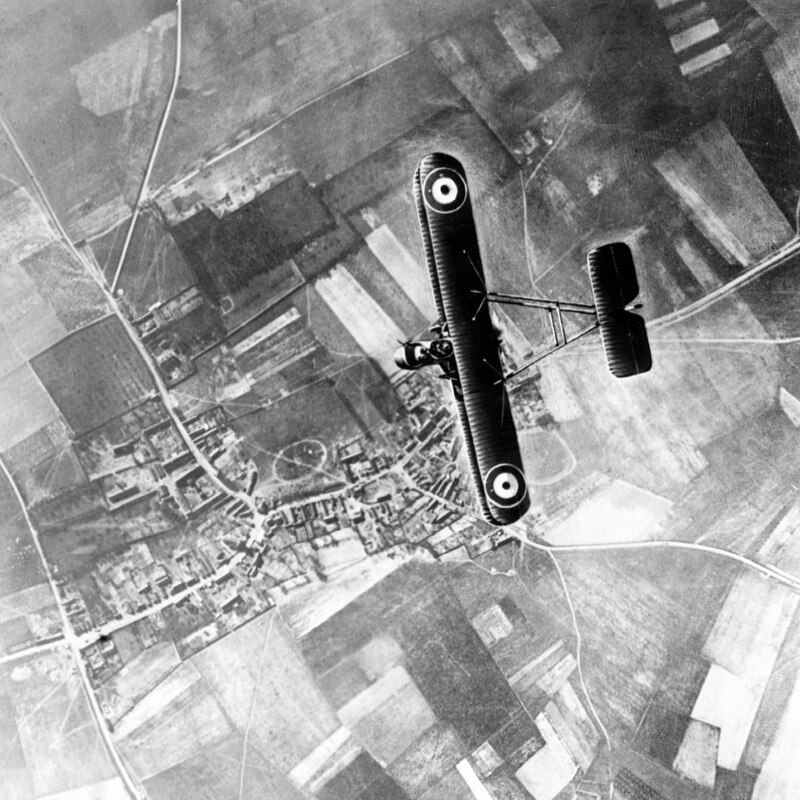 Until the fall of 1916, the Royal Aircraft Factory F.E.2 aircraft were used both as a fighter pilot and as a night bomber. The greatest success was achieved by a pilot of the 25th Squadron on June 18, 1916, when he was able to shoot down the German aviator ace Max Immelmann. Only with the replacement of the modern German fighter pilots of the type Albatros D.I and Halberstadt D.II, it was found that the F.E.2 aircraft were no longer sufficient and had to be gradually withdrawn from the front. After the departure as a fighter pilot the F.E.2 airplanes were used ever more frequently as night bombers. From February 1917, special night bomber squadrons were created that consisted only of these aircraft. By the end of the war, the number was increased to eight squadrons. After the war, 35 aircraft of various F.E.2 versions were sold to China, where they served as pilots.